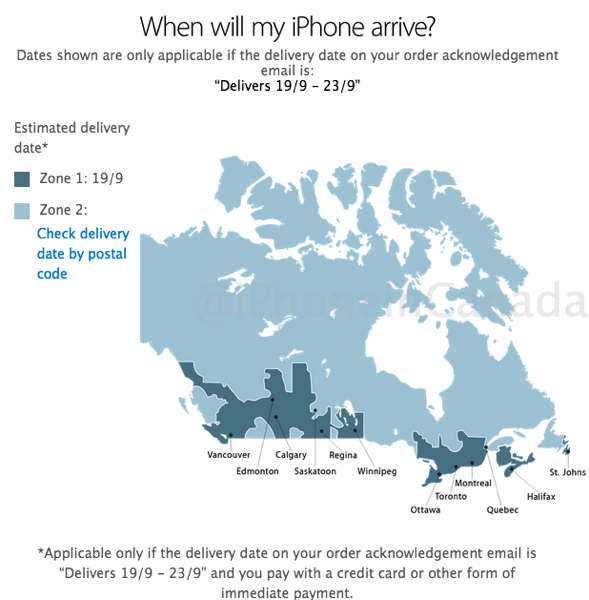 When we launched our Canadian iPhone 6 pre-order and launch guide last week, it included a delivery estimate map for Canadian cities, something the company releases annually. The comments sections of these news sites included added jabs, such as making fun of Apple Maps and how the company “should have asked Siri for help.” Apple, looks like you’re alone on this one. 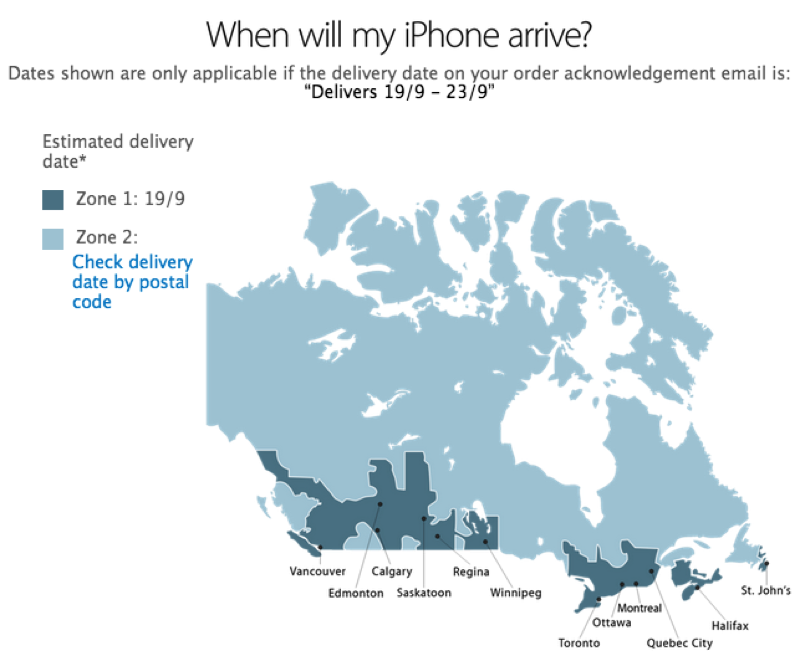 At least the map was fixed, eh!